Canadian born and bred author, Eric Walters, has once again taken a step into the shoes of young adults and created a wonderful fiction book that focuses on giving hope to those in need, whether they be human beings or animals that roam Earth. 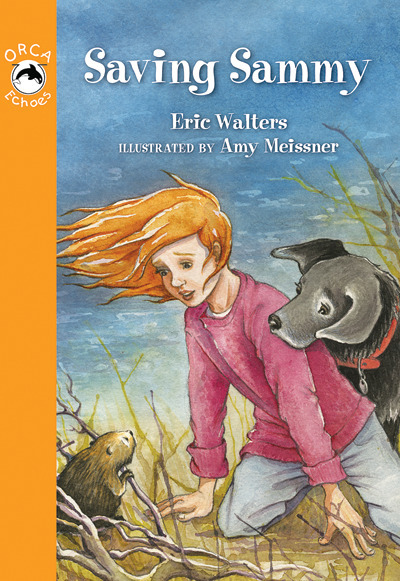 Saving Sammy tells a story of a young girl who, with the help of her family dogs, finds a baby beaver that has been washed out of its den and is in desperate need of assistance in order to survive. Morgan’s parents warn her that her newly found pet cannot stay with her forever as she begins her quest to find a safe home for Sammy. This short chapter book has easy to read text and is accompanied by illustrations that depict real-life characters with rustic and rural appeal. Classroom Connections: Many fiction books deliver strong and powerful messages of hope and helping others, and Saving Sammy, without a doubt, falls into this category. It can be read by students who have a love for wildlife or by those who cherish and embrace the opportunity to make a difference for those that surround them. Within the classroom, teachers may find this book useful as a read aloud or a short novel study where concepts such as open and closed questions, personal connections and summarizing and visualizing can be strengthened and enhanced.